We are proud that we combine both hands-on experience with US expansion projects and a keen attention to understanding our clients’ specific business models, ambitions, and constraints. 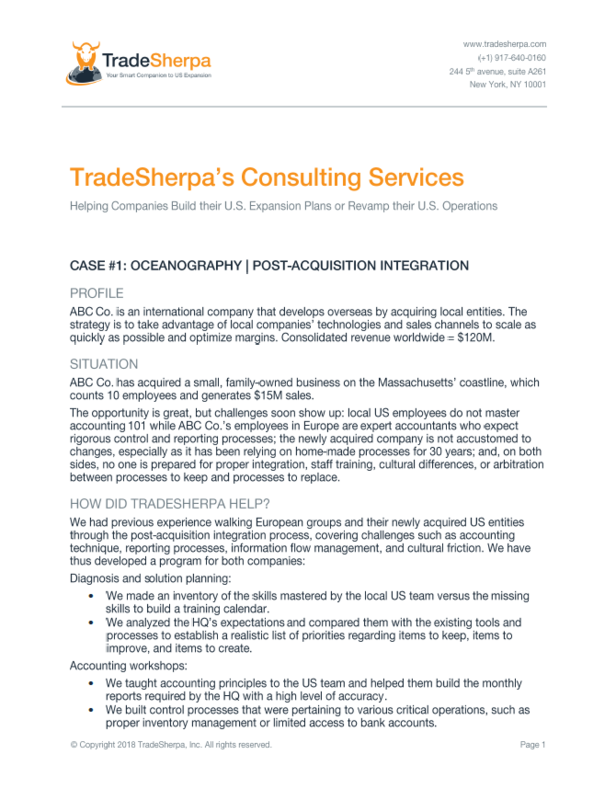 It helps us both approach our clients’ long-term projects with the big picture in mind and dive into complex, urgent situations for which we must match them with the exact expert(s) they need to move forward and secure ROI in the USA. 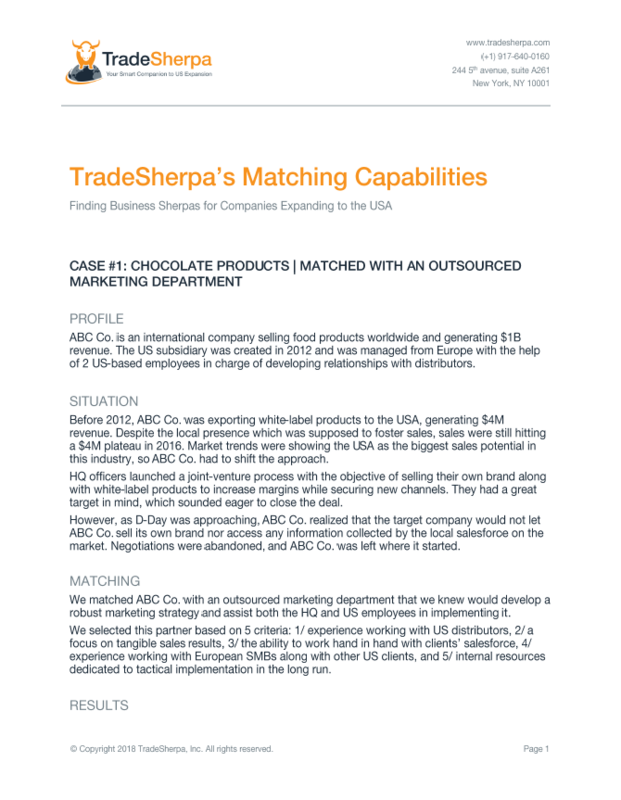 Click on the images below to get details about our matching capabilities for the USA and our consulting services. You’ll heard good stories (we hope!) and it will give you a good idea of what we do. You want to prepare your expansion to the USA, or you have a specific issue that you would like to solve as you are doing business here? Feel free to drop us a line, and we will contact you asap.